We can't give you a quote from Love Logistics 2, but we have hundreds of drivers waiting to offer you a great price. Have a question for Love Logistics 2? No problem, send them a message and they'll email you back as soon as possible. If you have a more general question you might find it answered in the FAQ, or you always contact one of our brilliant customer service team. * Love Logistics 2 won't be able to see your email address. Welcome to Love Logistics where we provide a quality removal service. Our vans are fully equipped with straps, blankets and trollies. - House / Flat moves. For any further enqueries please do not hesitate to contact us. Specifically mentioned tables would need moving and potentially taken apart and put back together. Refused to do this and then were slow and not careful with goods. Firstly, the guy supervising the booking was not even present when we were doing the move. He was in another room on his laptop throughout so I don't know how he would have seen if we were careful or not. Secondly, I have straps and blankets *sigh* and use them when and if needed, but again, the guy was not even in attendance so he would not know if I used straps and blankets. Thirdly, how can we have been slow and not careful at the same time? This doesn't make sense. The real problem was that we never took apart the tables because the customer did not agree to the extra charge for this service. The driver was lovely to talk to and was extremely helpful moving our things to our new place. Would definitely recommend him to anyone requiring assistance with their move. 10/10! The team was very polite and with a smile in their face! They worked really hard on the hottest day of the year! Thanks again! David from love moves was an absolute star , really friendly , hardworking and would really recommend this company and driver! Both the driver and helper was very friendly. Arrived on time and got the job done quickly and stress free. Lovely 2 young men who helped towards a stress free move. Would defo recommend! The two guys were on time, really friendly and calm and got everything done quickly and professionally. We paid for them to dismantle and rebuild the beds too which was done efficiently. Wouldn't hesitate to recommend. Lovely guys, really helpful, good sense of humour, friendly, and professional. Would definitely use them again. After most of the bits had been put into a storage bin, it had to be taken out and moved to a bigger one...the guys were amazing, didn't moan about it at all and just got on moving things...went above and beyond on a job that was hard work! Thank you so much! Great driver and nice guy. My property was not strapped down or blanketed to reduce movement, from what I saw. As a result of the movement, there was a significant mark made on one wooden item and a slight scratch on another. The two young guys who came were really nice guys however. Courteous, pleasant and hard working. I would hire them again, but I would also certainly direct them. Bang on time, very helpful and lovely company! Thank you! Hafeez was excellent. Nothing was too much trouble. Brilliant! Really helpful and friendly guy. Super quick and smooth process. Driver and colleague was very polite and very helpful. The reason was because of tube strike(no probs) Nice Guy!!! Only issue was that I ordered a medium van and guy turned up with large van and charged £10 extra. 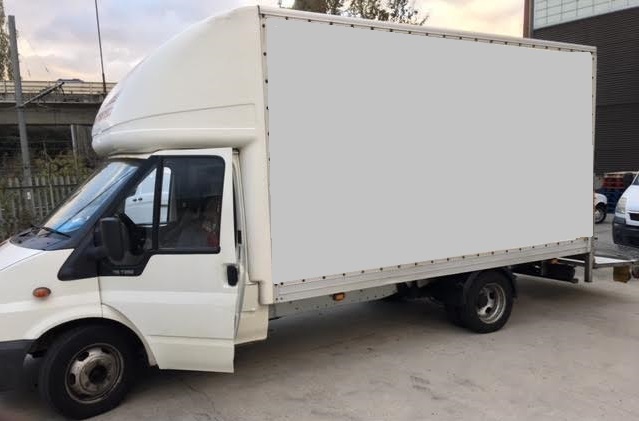 CMV Response: If you book for a medium van load, but exceed this quota by moving more goods than a medium van can carry, the driver will then charge you his large van rate. I would certainly get them again: they are really nice people who try to be as helpful as they can. The two guys who came arrived on time, and were really helpful. They did a great job and the whole task was completed well ahead of schedule. The guys were so friendly and helpful. THANKS!! Really friendly guys, nothing too much trouble and they even put up with the chaos of my attempted packing! Great movers, very professional, efficient and easy to work with! Was charged for two flights of stairs. Property on first floor but as the staircase bends with a small landing between, driver counted it as two flights. The team were efficient and polite, we'd use them again. Two great guys, who worked very hard. Very hard helpful and very happy. Booked for 3 hours, and over ran by two, which wasn't a problem. Great, Great service, highly recommended. Thanks for your hard work guys, well done. Really quick, efficient and professional service.would recommend it to everyone who needs an easy and smooth move.5stars!!!!!! Two nice lads, very polite and professional. Feeling satisfied! Excellent Service! Great! ???? These guys were fantastic. The job lasted much longer and was really hard work but nothing was a problem for them. Highly recommend. This was an excellent service, I can recommend it to absolutely everyone. This was by far my best moving experience. The two guys were very polite, efficient and diligent. They paid extra care with the fragile items and nothing was broken in the move. Would definitely call them first the next time I move. Very smooth move, would recommend. We were really pleased with the service we received - the driver recommended a larger van due to the amount we had to move which was very much needed, arrived early and completed the move very efficiently alongside his colleague. We would definitely recommend Love Removals to friends and use them again. Driver arrived 40 minutes late but was very apologetic and remained an extra 40 minutes. The service was ok. The driver (Dan) and co-worker (Mohammed) got stuck in gridlock when the M4 was closed following an accident, so they arrived several hours after us (we just got through before the accident). Despite being stuck in traffic for so long, both Dan and Mohammed were still very courteous and helpful when they arrived and worked hard to get everything off-loaded and taken to the right rooms in good time. I would highly recommend them both and their company. These guys were absolutely brilliant!! Efficient, quick, polite and extremely careful. I couldn't recommend them enough and I am pretty difficult to impress. Next time I need anything moved or anyone I know does I will be recommending them. Thanks guys! Guys at Love Removals were excellent! Our driver Dan was fantastic. Friendly, courteous, hardworking... so very grateful to him and his excellent customer service. I had a 2 bed flat move and booked a no help required service but was let down last minute from friends who where suppose to help and this company bought two guys very quickly and helped do my move within the allocated time without me having to pay overtime. They turned a near chaotic disaster to a stress free move. Would definitely recommend! 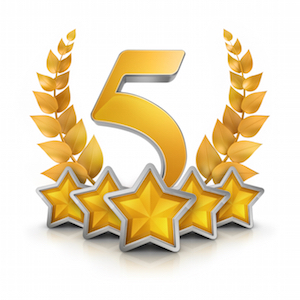 We were extremely pleased with the removal guys, they are extremely helpful & professional. Even under pressure we had some issues & they still remained calm & problem solved for us . We would definitely recommend this company & would use them again.